To spread archeological knowledge through the media of publications, meetings, lectures, exhibits, etc. 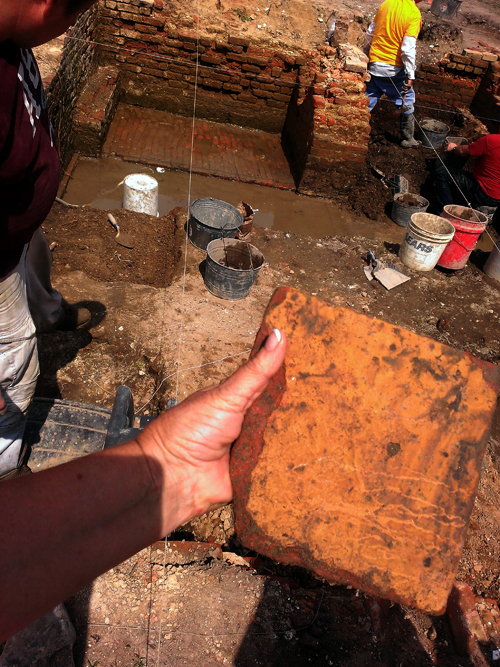 The name of this Society shall be the ARCHEOLOGICAL SOCIETY OF VIRGINIA (ASV), hereinafter referred to as the Society. It shall be a nonprofit corporation chartered under the laws of the Commonwealth of Virginia. The Code of Ethics of the Society as published in its current official publications is hereby constituted as part of the governance of the Society. 1. To promote the study of archeology and anthropology, especially but not limited to, the prehistoric and historic periods in Virginia. 2. To work for the proper conservation and exploration of archeological sites and materials. 3. To encourage the scientific study of archeological sites and materials and to discourage careless, misdirected or commercial collecting of artifacts. 4. To promote the spread of archeological knowledge through the media of publications, meetings, lectures, exhibits, etc. 5. To collaborate with individuals, organizations and agencies that serve the same purposes as those of this Society. 1. Membership in the Society shall be open to any person with an interest in the Society’s objectives and who agrees to adhere to the Society’s Code of Ethics. 3. Persons wishing to join the Society shall submit an application accompanied by payment of one year’s dues. Persons submitting an application agree to adhere to the Society’s Code of Ethics. 4. Members of the Society may apply to a local chapter for membership in that chapter. 5. Dues for membership shall be as established by the Board of Directors and approved by a majority of those present and voting at an Annual Meeting. 6. Libraries and educational institutions may subscribe to the Society’s quarterly publications at an annual rate established by the Board of Directors and approved by a majority of those present and voting at an Annual Meeting. Subscription rates for foreign subscribers shall reflect the difference in the cost of mailing publications to those subscribers. 7. Payment of dues shall be for the calendar year. A member joining before November 1 shall receive all publications issued during that calendar year. Membership applications dated after November 1 shall receive only those publications for the following year. 8. Any member of the Society who is charged in accordance with procedure established by the Society’s Board of Directors and approved by the membership with a breach of the Society’s Code of Ethics and/or a criminal offense that is also in violation of the Society’s Code of Ethics will be suspended from membership, pending determination of the case by those procedures. 9. The President of the Society will appoint a Membership Secretary to receive membership applications and keep a current list of members and their status within the organization. 1. The officers of the Society shall be a President, Vice-President, Secretary, and Treasurer. Officers shall be elected to serve for two years. Any officer that accrues three successive unexcused absences from Board of Directors’ meetings may be relieved of office by vote of the Board, and a temporary replacement may be appointed by the Board of Directors until that office can be filled at the next Annual Meeting. 2. Officers and Directors shall be elected by majority vote of those present and voting at the Annual Meeting. Elections shall be held by ballot unless there is only one candidate for an office. 3. The terms of office for all officers and directors shall begin on the first of January following their election. a. President: The President shall preside at all meetings of the Society, shall act as Chairman of the Board of Directors and shall be ex-officio member of all committees except the Nominating Committee. The President shall appoint all special committees; appointments shall be approved by a majority of the Society’s Board of Directors. b. Vice President: The Vice President shall act for the President in his or her absence or incapacity. c. Secretary: The Secretary shall keep a record of all proceedings of the meetings of the Society and the Board of Directors, as well as the attendance at these meetings. The Society’s records shall be archived in a timely fashion. d. Treasurer: The Treasurer is responsible for the collection and distribution of all Society funds and shall maintain records of receipts and distributions of all such funds. i. The Treasurer shall keep records of all real and personal property owned by the Society and shall administer any investments, endowments, or trusts of the Society as directed by the Board of Directors. ii. Bond for the Treasurer shall be required and the cost of such bond shall be paid by the Society from the Operating Fund. iii. Chapters of the Society that choose to maintain a treasury through the imposition of dues or through other fund raising methods must account for these funds to the Treasurer of the Society by February 1 as part of the finances of the Society. Such Chapter funds must be disbursed in accordance with the purposes of the Society as defined by these Bylaws. iv. The Treasurer shall each year prepare a budget of anticipated income and expense for the following year’s operations and shall submit the budget to the Board of Directors for approval and to the membership for adoption at the Annual Meeting of the Society. 5. The President and Vice-President shall serve no more than two successive terms. The Treasurer and Secretary may serve unlimited terms until a successor is elected. 1. The responsibility for directing the activities of the Society shall be vested in a Board of Directors that consists of the President, Vice-President, Secretary, Treasurer, the immediate past President, the six elected Directors, the chairs of the Standing Committees and the President of each Chapter of the Society or his or her designee as defined in these bylaws. 2. There shall be six Elected Directors, two of whom shall be elected each year to serve on the Board of Directors for three years or until their successors are elected. 3. Any member of the Board of Directors with three successive unexcused absences may be relieved of office, and a temporary replacement may be appointed by the Board of Directors until the office can be filled by election at the next Annual Meeting. 4. A quorum of the Board of Directors shall be twelve members. 5. The Board of Directors shall meet at least twice a year at the call of the President. 6. The President shall recommend and the Board of Directors shall approve such positions or committees as may be necessary to carry out the affairs of the Society. 1. There shall be an Executive Committee consisting of the officers and the chair of each standing committee. 2. The Executive Committee shall be responsible for directing the activities of the Society between meetings of the Board of Directors. 3. Any actions taken by the Executive Committee shall be reported to the full Board of Directors at its next meeting. 4. Meetings of the Executive Committee may be called by the President or two or more officers. 5. A quorum of the Executive Committee shall be a majority of its members. b. 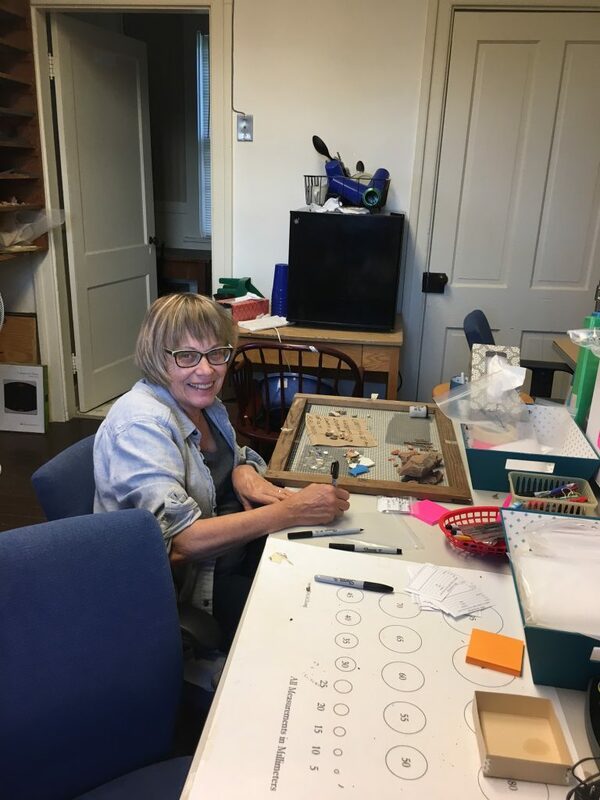 Education: Functions may include developing and implementing instructional programming, encouraging scholarly development, and promoting best practices for archaeological collections. c. Research: Functions include proper study and stewardship of archaeological resources to further scholarly contributions to the discipline. 2. The chair of each Standing Committee shall be appointed by the President from the membership of the Society. Such appointments shall be approved by the Board of Directors. 3. All Standing Committees shall meet at least twice each year. 4. A quorum for meetings of each Standing Committee shall be 51 percent of its members. 5. The chair of the Standing Committee shall determine whether its functions are carried out by sub-committees or by the full committee with membership reporting to and approved by the President. 6. All Standing Committees shall maintain complete records of their activities and shall submit annual reports of their activities to the President and/or the Board of Directors, or as requested. 7. The Quarterly Bulletin editor, the Newsletter editor, and the website administrator are appointed by the President with the approval of the Board of Directors, to serve at the Board’s pleasure or until a successor is appointed. The individual holding these positions shall be members of the Outreach Committee. 8. The President shall appoint such other committees as the Society or the Board of Directors shall deem necessary. The President shall be an ex-officio member of all committees except the Nominating Committee. 9. A Nominating Committee of three members shall be appointed annually by the Chair of the Standing Committee on Administration, with the approval of the Board of Directors. The Nominating Committee shall present a slate of candidates for each office to be filled at the next Annual Meeting. Members of the Society shall receive the report of the Nominating Committee at least thirty days before the announced date of the Annual Meeting. Nominations from the floor shall be permitted at the Annual Meeting provided that the nominee agrees to serve. 1. The Board of Directors may establish a chapter of the Society upon application of ten voting members of the Society. If the membership of a chapter falls below six, the Board may, upon ninety days’ written notice to the President of such chapter, cause it to be disbanded, if the membership is not increased to the minimum within the said ninety days. 2. All chapter rules, regulations, policies, written bylaws, and activities must be consistent with those of the Society. 3. All chapter members must be members of the Society. 4. Except as may otherwise be provided by these bylaws, chapters shall be self-governing, and may meet when and where the chapter members desire. Chapters shall hold at least one meeting each year. Chapter dues shall be established by each individual chapter. 5. Chapter Presidents shall provide an annual written report of the activities of their chapter to the Secretary of the Society, and will submit an annual financial report to the Treasurer of the Society. 6. If a chapter is disbanded, the assets of the said chapter shall revert to the Society. 1. The Annual Meeting of the Society shall be held at such convenient time and place as the Board of Directors shall designate, preferably in October. 2. Special meetings may be called by the President or upon request of a majority of the Board of Directors. Notice of such special meetings shall state the reason for the meeting. Notice of all meetings of the Society shall be sent to all members of the Society at least fifteen days prior to the date announced for the meeting. 3. A quorum for all meetings of the Society shall be five percent of the voting membership. 4. Membership Voting and Rights: Each member 16 years and older shall be entitled to one vote. No proxy or absentee voting will be permitted. No substantial part of the Society’s activities shall consist of attempts to influence legislation. The Society shall not take part in political campaigns on behalf of or in opposition to any candidate for public office, nor engage in any other activity that would classify it as an “Action” organization within the meaning of the Internal Revenue Code, Section 501 (c) (3), nor engage in any other activity that would disqualify the Society for exemption under the cited Code. The rules contained in the current edition of Roberts Rules of Order shall govern all meetings of the Society in all cases to which they are applicable and in which they are not inconsistent with these bylaws and any special rules of order the Society may adopt. Any one or more members of the Board of Directors or the Executive Committee may participate in a meeting of such Board or Executive committee by means of a teleconference or other communications equipment that permits all persons participating in the meeting to hear each other at the same time. Participation by such means shall constitute presence in person at the meeting. Each Director and Officer shall be indemnified by the Corporation to the fullest extent allowed by law and as provided in Section 13.1-697 of the Code of Virginia against liabilities, fines, penalties and claims imposed upon or asserted against him or her (including amounts paid in settlement) by reason of having been such a Director or Officer, whether or not continuing so to be, and against all expenses (including counsel fees) reasonably incurred by him or her in connection therewith, except in relation to matters as to which he or she shall have been financially adjudged to be liable by reason of having been guilty of gross negligence or willful misconduct in the performance of his or her duties as a Director or Officer. Every reference herein to Director or Officer shall include every Director or Officer or former Director of the Corporation. The right of indemnification hereby provided shall not be exclusive of any other rights with which any Director or Officer may be entitled. In the event of the dissolution of the Society and after the payment of all lawful debts, the remaining assets of the Society shall be transferred by action of the Board of Directors as provided by law to one or more organizations of the Board’s choice operating for similar purposes under Section 501 (c) (3) of the Internal Revenue Code of 1954 and amendments thereto, or to a Federal, State or local agency to be used for public purposes. 1. These bylaws may be amended at any regular or special meeting of the Society by a two-thirds vote of the general membership present at the meeting. 2. Proposed amendments to the bylaws may originate with any member of the Board, any ten members of the Society, or any chapter by a 2/3 vote of members present at a general or special meeting of that chapter. 3. Proposed amendments shall be submitted in writing to the Board of Directors in time for them to be submitted, with the recommendation of the Board, to the general membership at least thirty days in advance of the meeting at which they are to be voted on. a. actively support the preservation of archeological sites. b. know, understand, and comply with all federal, state, and local laws that apply to their archeological research. c. insist upon, and act in such a way that, data recovered from a site are kept intact, properly curated, and made accessible to others with legitimate research interest in the collection. d. work under the oversight of an archaeological professional who meets or exceeds qualifications established under the Secretary of Interior’s Standards and Guidelines for Archeology and Historic Preservation. a. undertake any archeological research project for which they lack appropriate expertise. b. engage in activities which violate the UNESCO Convention governing the illicit import, export, and ownership of cultural property. 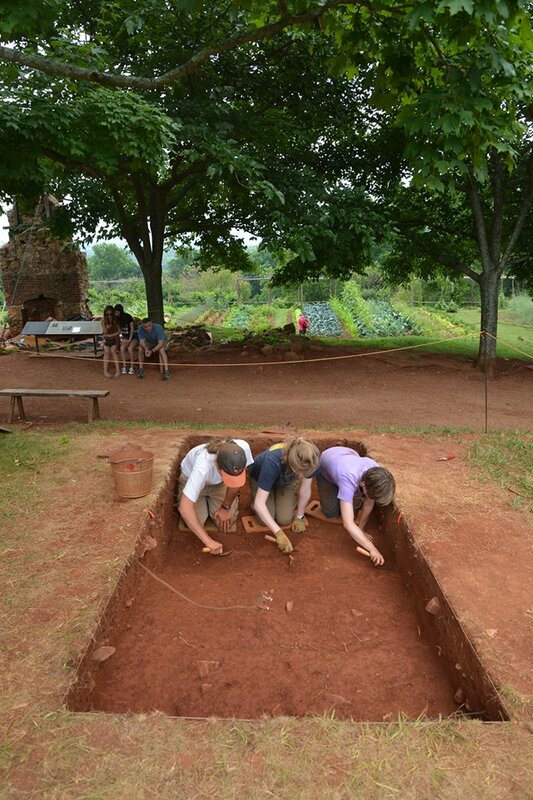 a. represent archeology and its results to the general public in a responsible manner. b. be sensitive to and respect the concerns of groups whose cultural history is the subject of archeological or anthropological study. c. avoid statements and behaviors that tend to encourage others to engage in unethical or illegal archeological activity. a. engage in any illegal/unethical conduct related to archeological matters, or knowingly permit the use of their name in support of such conduct. b. render a professional opinion, public report, or give legal testimony on any archeological questions for which they have no expertise. c. engage in dishonest, fraudulent, deceitful, or misleading conduct regarding archeological issues. a. appropriately credit the work of others when used in their own work. b. communicate, cooperate, and share information with professional and amateur colleagues working in the same or related fields of research. c. stay informed about developments in their fields of specialization. a. falsely or maliciously injure the reputation of their colleagues, amateurs, or professional archeologists. b. plagiarize any oral, written, or electronic communication. c. refuse reasonable requests for research data from qualified colleagues.